It seems like only a few decades ago the idea of employing publicists and managers to handle a company’s public relation crisis was a notion as foreign as watching VHS tapes in this age of DVRs. Now however, corporate crisis management teams are the norm rather than the exception. And you know what entities need them the most? No, not the Catholic Church (well actually they do), but banks. With our nation still struggling to recover from the subprime mortgage crisis, big banks have been on the receiving end of a lot of (deserved) public ire. With the industry’s tarnished image, you’d think someone in Wells Fargo’s PR team would tell their agents to double check every foreclosure they do. And if that advice was given, apparently someone in Wells Fargo didn’t get the memo because they just foreclosed on a couple of homeowners who didn’t have a mortgage with the bank, or indeed, any mortgage at all. A foreclosure crew hired by Wells Fargo broke into Alvin and Pat Tjosaas’ California home and removed all of the family’s possessions. Alvin and his father built the house when he was a teenager. The couple owned their home outright, without any mortgage at all. So how did the banking giant screw up so bad? Apparently, the contracted crew accidentally went into the Tjosaas’ home by mistake, according to a Wells Fargo rep. Now most of the family’s belongings are either lost or destroyed. Wells Fargo’s response to the whole thing has been less than stellar considering the emotional value of the items taken from the Tjosaas, not to mention the emotional trauma of having their home burglarized. The bank has apologized for the mix up and claims to have reached out to the Tjosaas to rectify the situation. Unfortunately, that likely won’t save Wells Fargo from a heck of a lawsuit for conversion and/or trespass to chattel. Most people may call the bank’s action theft or destruction of property. And for the most part, those names are accurate labels for Wells Fargo’s alleged actions. However, the legal world is a fickle beast and likes to slap fancier sounding names to describe everyday events. And in this regard, when a plaintiff sues another person for taking their property without consent, that cause of action is called trespass to chattel or conversion. The differences between the two may seem minute, but they’re important for determining awards for damages. Both actions start with property being taken without consent; where they diverge depends on how long the owner was deprived of their property and whether or not it can be returned. For the most part, a cause of action is considered trespass to chattel when the owner was only deprived of using his property for a short time. Conversion is more along the lines of theft; generally it’s when the stolen property can no longer be returned in its original state. In the latter situation, most courts will have considered a “forced sale” of the property to have occurred between the parties and order the defendant to pay the fair market value of the item. In trespass to chattel, damages are calculated based on the “rental” time of the property. That is to say, if the property were rented out by the owner, his judgment award would be the value of the time the owner loss when he was without his belongings. In the Tjosaas’ case, since it appears that most of their property has been destroyed or lost, a lawsuit for conversion would be more in order. It’s also worth noting that the defendant’s mistake of facts doesn’t affect the outcome of a trespass to chattel or conversion lawsuit. Meaning that even though Wells Fargo may be able to legitimately claim that their hired crew mistakenly believed they were in the right home, it wouldn’t change a court’s disposition in ordering the bank to pay the Tjosaas for their damages. And that’s just for their property damages, the Tjosaas’ could earn potentially more in emotional distress damages. However, that’s a post for another time. 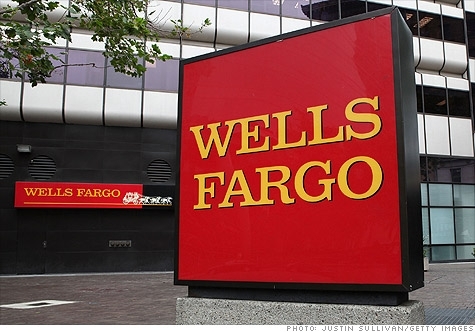 As of now, there’s no word of whether the Tjosaas will be filing suit against Wells Fargo for the incident. But then again, when was the last time you heard of a potential lawsuit with media coverage against a major bank go un-filed? I’ve never been one for “bank bashing” just to go along with public feelings, but in this instance, this bank needs a darn good bash, “emotional distress” amount should be followed by many noughts!